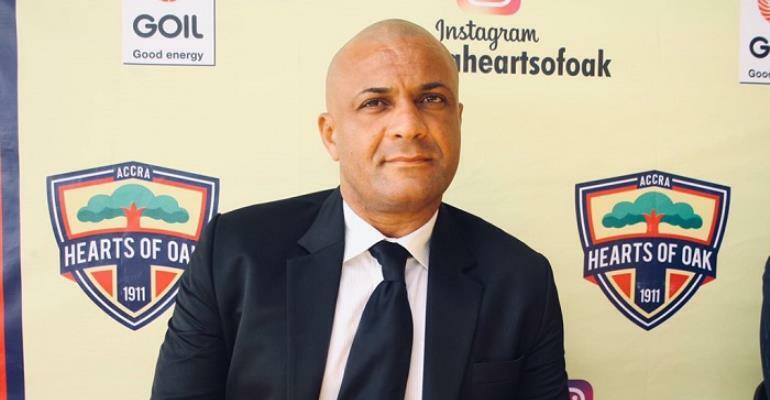 Coach of Hearts of Oak, Kim Grant has hailed his player's after their display against Dreams FC in the opening game of the Normalisation Committee's Special Competition on Sunday. Obeng Junior broke the deadlock for the Phobians in the 30th minute to secure all three points for the home side. According to the former Ghanaian international, he was most pleased that they did not concede a goal during their disappointing spell in the game and declared his delight over their overall performance as they started off to a flying start in the competition. "We were just apprehensive in the first half because it's the first game the cohesion of the team, I think there was a bit of nervousness," Coach Grant told the club's YouTube channel. "For me it's important that we didn't concede and we came through the game even when we didn't perform well in the first 20-30 minutes but apart from that Dreams FC didn't create anything, they didn't had any shot on goal so I was pleased with the character and overall performance of the team." Hearts of Oak will play against Elmina Sharks in the second match of the competition on Wednesday, April 3.